Providing a comprehensive introduction to the study of tropical medicine, this new edition has been thoroughly revised and updated to include new content and more illustrations and clinical photographs to aid understanding. 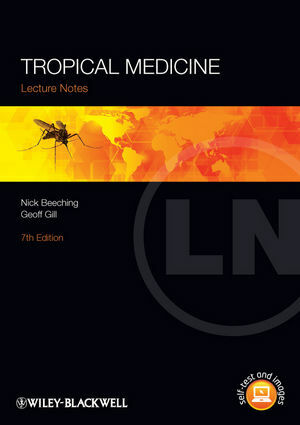 Now fully supported by a companion website containing hundreds of interactive multiple-choice questions, and available in a range of digital formats, Tropical Medicine Lecture Notes is the perfect resource for study and revision, and is the ideal companion for those practising medicine in tropical and sub-tropical regions. Tropical Medicine Lecture Notes Companion website features hundreds of interactive self-assessment MCQs, figures from the book in PowerPoint format and a “Quick guide” table of tropical diseases.